Though The Witcher 3 doesn’t officially release until May 19th, many gamers around the world already have access to the beast-hunting game. The reason? Some stores are selling the game early. This means that if you want to go into the game fresh, you maaaaay want to be careful about what you look at on the internet. Just to be safe. Regardless, there are already screenshots and videos floating around the web, and popular hubs such as Reddit and neoGAF are having discussions about spoilers. 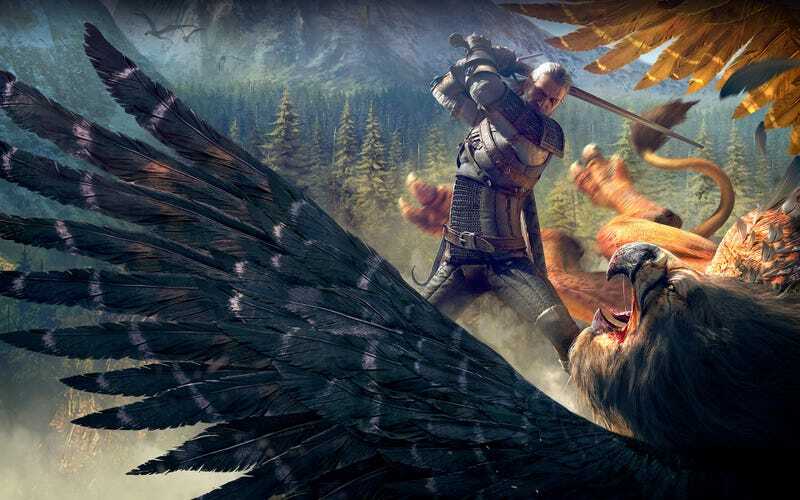 We’ve reached out to CD Projekt Red to ask about how they’re dealing with the situation, but they did not respond in time for publication. Last year, the developers had their files hacked—which resulted in the leak of major Witcher 3 plot points and endings. At the time, the developers “strongly advised” players to avoid spoilers if they could help it. A few months ago, a YouTuber gained access to The Order: 1886 prior to launch and uploaded the entirety of a playthrough online, for everyone to see. The leak ended up derailing the launch of the game, as players saw what they considered to be unfavorable footage. Occurrences such as these are not uncommon of course—games leak all the time. What makes newer leaks interesting is that they’re happening in the age of YouTube and Twitch, when everything can and will be documented. Publishers and developers haven’t really adapted to this reality, and instead try fruitlessly to shut down or punish leaks from gamers as best they can.